available same date global release and games library expansion. Microsoft’s Xbox game pass subscription service gives gamers a diverse library of games with monthly prices, unlimited access to download and play. In the latest announcement by Microsoft’s head of gaming, Phil Spencer; gamers will now have access to Xbox One exclusive games from Microsoft Studios. Halo, Forza, Gears of War, State of Decay 2, Crackdown 3 and others are all going to be available to Xbox game pass holders. There will also be more games from other retailers as they try to expand the games library. We know our fans value having a variety of games to play at a low monthly price. We’ve also heard from fans that the ability to play new blockbuster games in Xbox Game Pass is important. So we’ve continued to explore new ideas to make this possible. 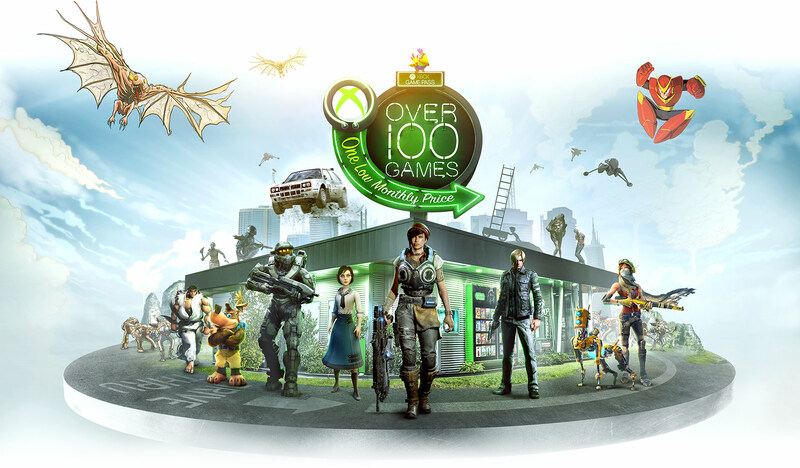 Moving forward, we plan to release all new Xbox One exclusive games from Microsoft Studios into Xbox Game Pass on the same date as their global release. As part of today’s library expansion, we are also pleased to announce that we are working closely with retail partners, such as GameStop, to offer a 6-month Xbox Game Pass subscription card for those fans who look for a variety of ways to purchase and enjoy new games and services. The 6-month Xbox Game Pass subscription card will be available at select retail partners for $59.99 beginning March 20. With the new model and introductions will this put Xbox over as the preferred gaming console? Gamer do enjoy using your pass? Game pass isn’t available yet in your country? Have a way around it? Let us know your thoughts.